Piloti is a collection of side tables made of solid oak, designed by Hugo Passos for Fredericia. The fine table top gives the impression that a single line is floating above the four legs. The tables are available in two heights and four different sizes. At first glance, the tables in this collection seem simple and understated. On closer inspection, with fingers trailing across the woodwork, subtle details can be recognised, giving the surface a particularly smooth appearance. The various tables in the collection can be used in the home as side tables, coffee tables or night stands, but also work well in public spaces such as hotel lobbies or company reception areas. Above all they can be mixed together in their various sizes to fit any situation. The tables can be easily taken apart for transportation purposes and are simple to reassemble. 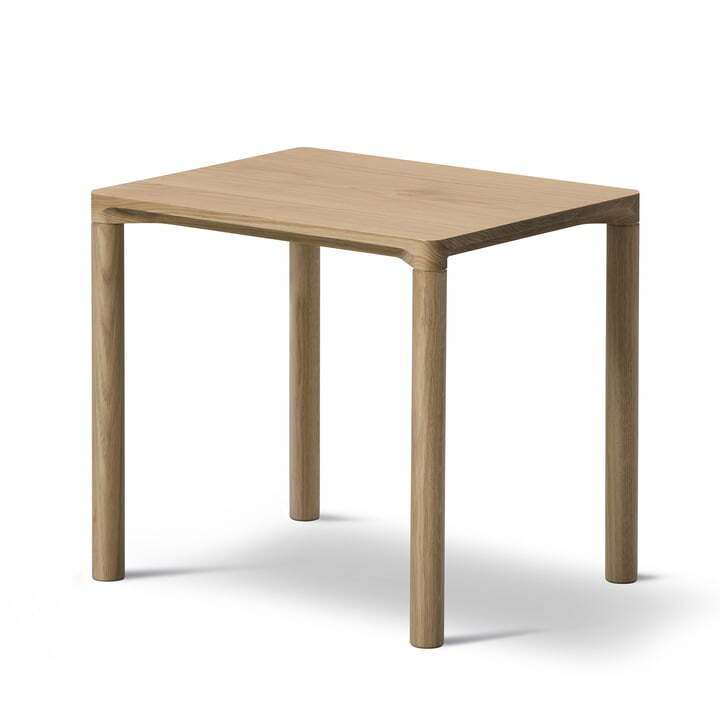 Piloti Side Table 31 x 39cm by Fredericia in oak wood. Piloti is a collection of side tables made of solid oak, designed by Hugo Passos for Fredericia. 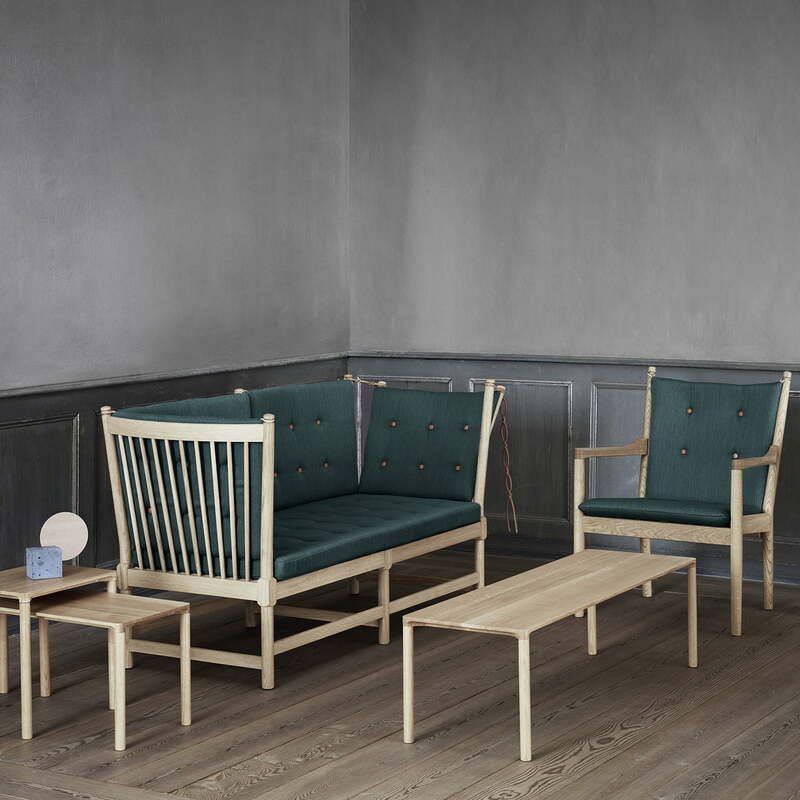 Group image of the Piloti sofa tables by Frederica in solid oak. 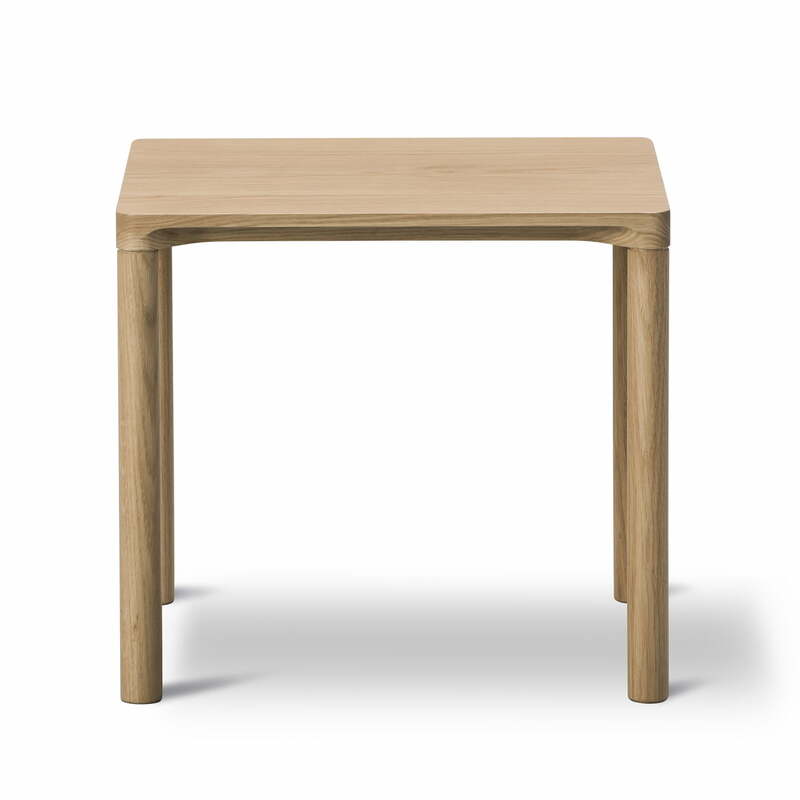 The subtle elegance of the tables comes through whether in a group or used singularly.